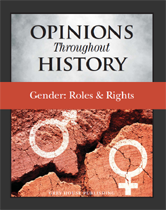 Six new titles and one updated title were released to Academic Core and Academic Core with Backfile in February 2019. 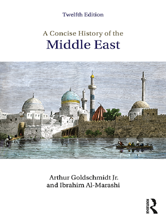 There are now 912 titles in Academic Core with Backfile, and 733 titles in the Academic Core collection. If you subscribe to one of these packages, see a full title list in your Admin account (log-in required), or check it out on our corporate site: Academic Core with Backfile, Academic Core. 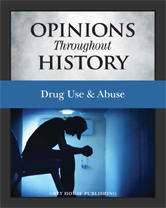 Opinions Throughout History: Drug Abuse & Drug Epidemics explores the origins and impacts of what many experts now call a pandemic of opioid abuse in America. 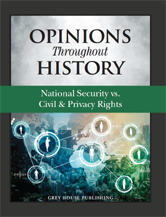 With commentary from public heath experts and the inclusion of more than 30 primary sources, Drug Abuse and Drug Epidemics also explores the origins, costs, and sharply polarized opinions regarding the decades old war on drugs, including discussion of opinions related to disparities in drug law convictions and punishments, and the effects of mass criminalization. 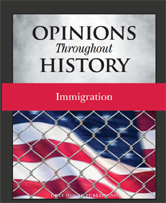 This new series from Grey House offers in-depth single volumes that follow the debate, or path, to a decision on a controversial topic as it evolved throughout history. 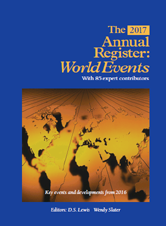 Each volume offers a wide range of opinion essays and editorials, speeches, and journal articles and expert analysis. 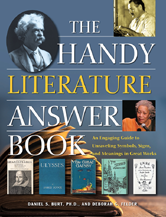 The Handy Literature Answer Book: Understand and Enjoy Meanings, Symbolism, and Signs in Great Works is an engaging, easy-to-read look at literature basics such as themes, symbols, context, and other literary devices.